When things start to get more competitive you need a bike that can step up with you. This is it – the CRF150R, a true pocket rocket! Armed with a powerful 4-stroke Unicam® engine, that’s smooth and easy to control, a light twist-grip action gives accurate throttle response while its wide rev-range leaves other riders trailing in the roost. Now, you’re ready. 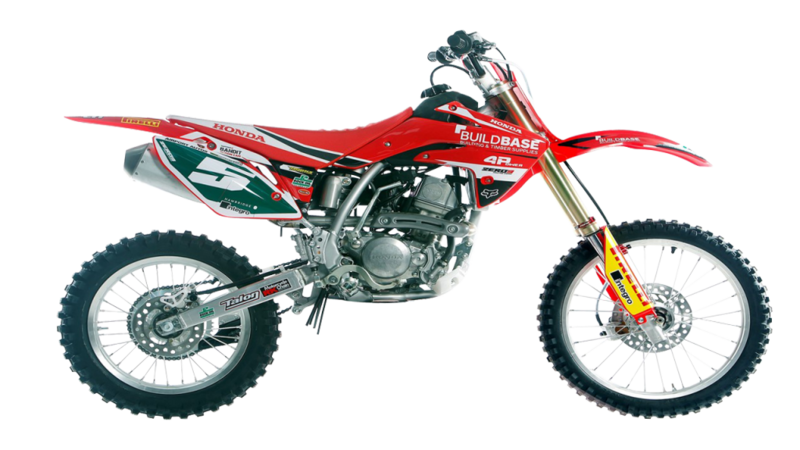 Only one step below its bigger brothers, the CRF150R carves corners, rides ruts and catches air like only a CRF-R can. The strong, slim and lightweight steel tube frame mounts a low-friction, long-travel, fully adjustable inverted front fork – just like its big brothers. With performance DNA this strong, you’ll be winning races in no time. 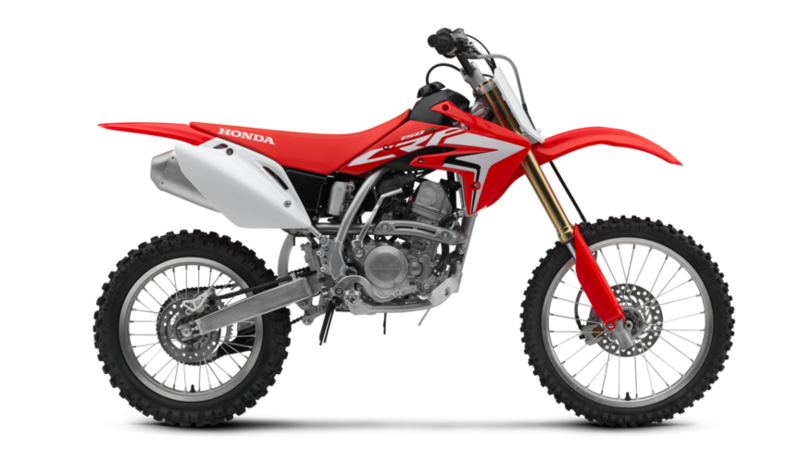 With strong, lightweight frame, large wheels and revised suspension settings for the 37mm inverted Showa front fork and Pro-Link rear suspension system, the CRF150R offers the rider the confidence needed to get ‘airborne’. Once you find higher levels of expertise, manoeuvres on the ground, and in the air will start to come naturally to you. The Buildbase Edition will include the Buildbase Graphics and is available now.